Industrial IoT wireless functions can be performed on a new Bluetooth Low Energy System-on-Chip available from Panasonic. Panasonic Industry Europe is presenting its next generation Bluetooth module with the industry’s lowest power Bluetooth Low Energy SoC. 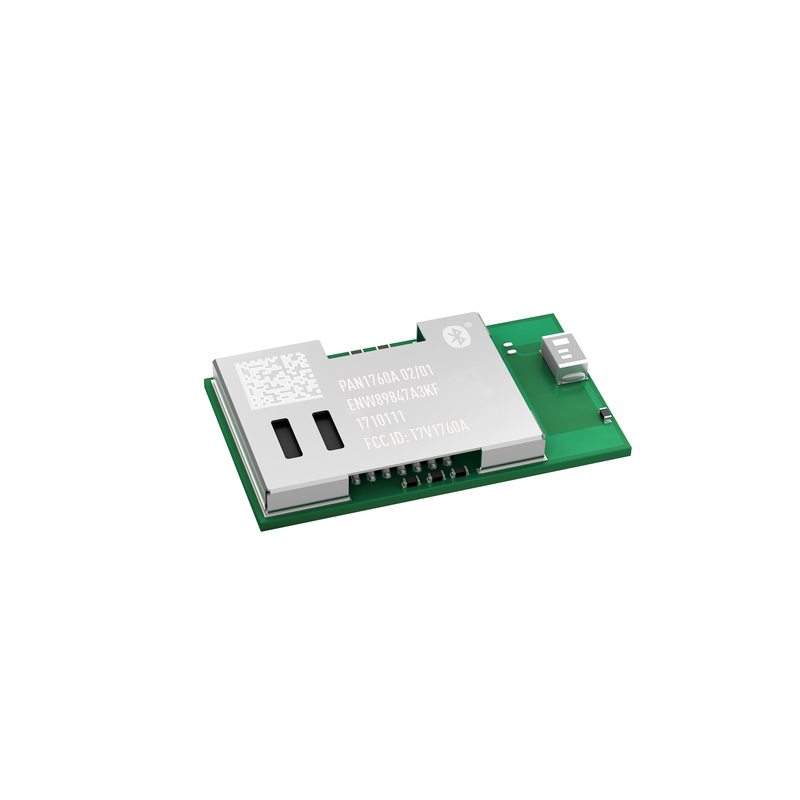 The new PAN1760A module benefits from a peak power consumption of only 3.3mA in Tx and Rx mode, enabling advanced wireless functions in IoT, medical and industrial applications without compromising battery life. Mandatory and optional Bluetooth 4.2 features are supported. The small 15.6mm x 8.7mm x 1.9mm SMD module is based on Toshiba’s single chip TC35678 Bluetooth semiconductor device with embedded Toshiba Bluetooth 4.2 LE stack and embedded flash for user applications in stand-alone operation. The PAN1760A product can either be operated in AT-Command or Host mode for very simple integration of Bluetooth connectivity into existing products, or in Stand-Alone mode. In Stand-Alone mode, with 256 kB flash memory and 83 kB RAM for user application, the PAN1760A can be used for many applications without the need for an external processor, saving cost, complexity, and space. The PAN1760A module is currently awaiting FCC, IC, and CE approval.